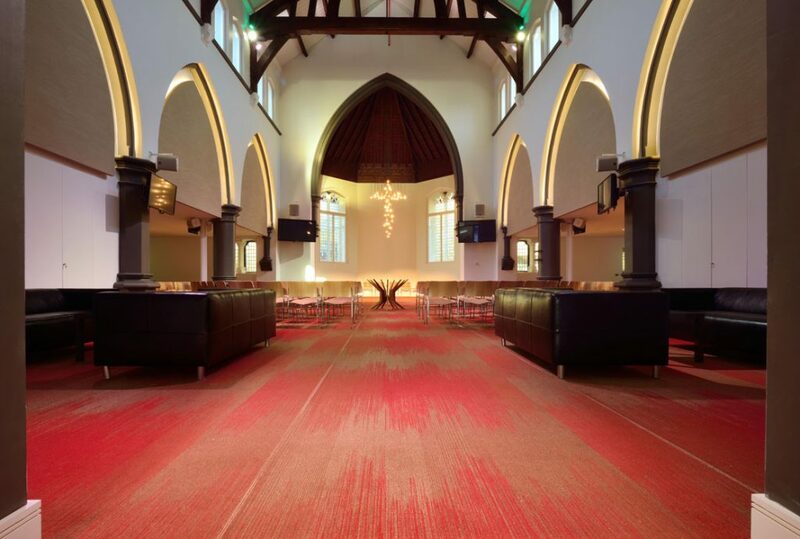 The vacant church St. David’s in Lower Holloway, North London has been revitalised, bringing its interior design up to date and adding a newly excavated basement and a newly created first floor to accommodate community uses, whilst maintaining the aura of a spiritual space. 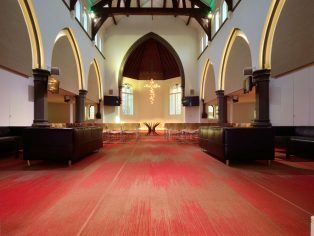 The extensive refurbishment includes, on the ground floor, an open double height hallway with Reception and café facilities, and providing access to new community meeting rooms on the first floor. The hallway then opens into the church’s peaceful worship space.